There’s no doubt jailbreaking an iOS device opens the door to so many new and previously unattainable possibilities. Sometimes though, a jailbreak isn’t always achievable, such is the case with Apple’s latest smartphone – the iPhone 4S – which, as yet, has not been exploited. Sad face. In such situations, it’s nice to have those little workarounds, such as the process in unlocking the hidden panoramic camera in iOS 5. This latest one – although an app as opposed to a tweak – is essentially both rolled into one. 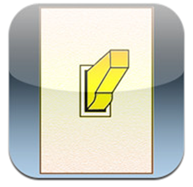 For although it’s downloaded via the famed App Store along with the likes of iWorks, Cut The Rope and Infinity Blade II, it acts in a manner reflective of those many, many handy .deb files located in the treasure trove that is Cydia. Developed by Pepper Stuff, App Switcher is no-frills – just action – and will improve productivity no-end. It allows you to create simple, effective Quick Launches in order to easily initiate the tasks you carry out the most. It’s not painstaking to set up, either, and we’ve included a little tutorial to get you up and running. 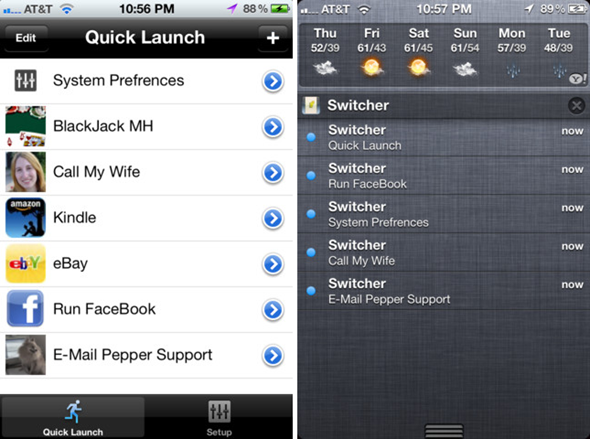 Step 1: Download App Switcher from the App Store. It costs a mere $.99 – the minimal fee for a paid app. With the price set to double in future, now’s the time to grab it. Step 2: Once the process is complete, open up your Settings.app. After you’ve sorted your settings out, you can begin to have a little play around with the app. Here, you can place your most important tasks, such as those URLs you visit often or those people you always end up calling. All you have to do is tap on the “+” icon situated at the top to the right and assign your desired action. As well as being a very handy implementation, it’s limitless, so you can create as many Quick Launches as you so please. With iOS 5 came that handy Notification Center, which has since been the focal point of every iDevice user’s known universe. App Switcher allows Quick Launches to be included in Apple’s new information hub, and again, the process is a doddle. Open App Switcher, select Setup, and you’ll be met with a bunch of Notification Center “slots.” Once again, hit the “+” on each to fill these slots with some of your previously assigned Quick Launches. We highly recommend this app, and if you don’t purchase anything else this side of the new year, get App Switcher.